Adjustment of photometric consistency in superimposition application. 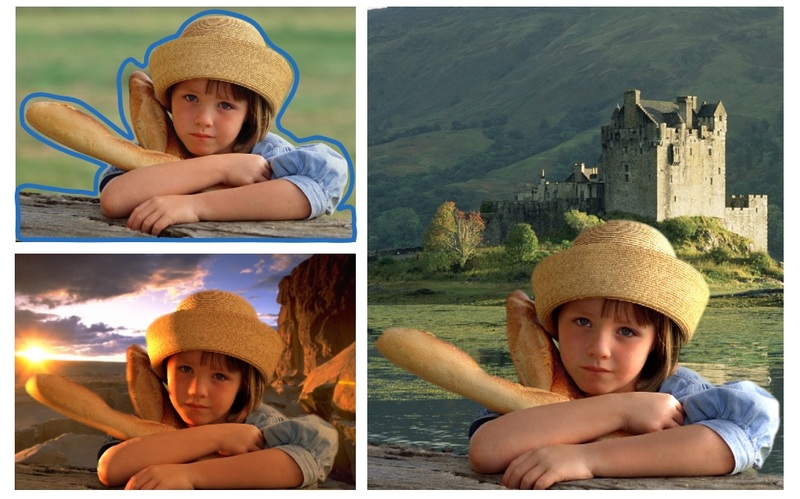 The foreground (the girl in the top-left image) is superimposed on the different background (bottom and right image). The illumination condition of foreground (girl) is aligned to that of the background with our relighting method. 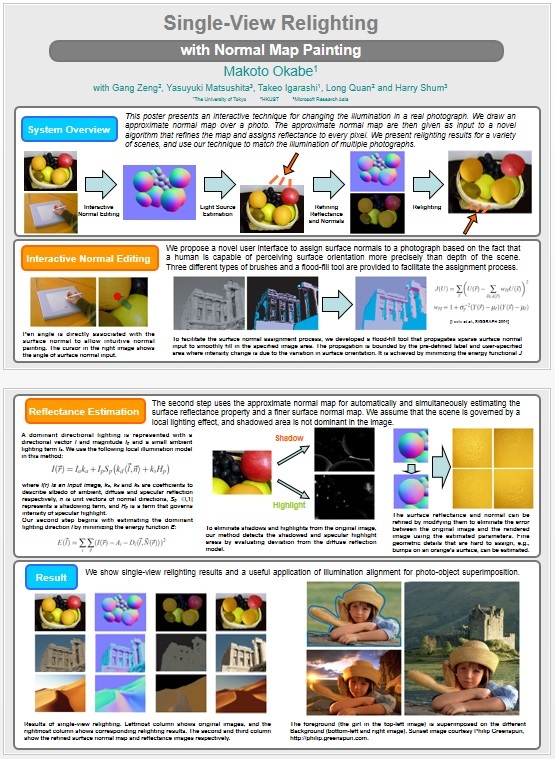 This paper presents an interactive technique for changing the illumination of objects in a real photograph. Because lighting effects are very sensitive to surface normal perturbations but hard to analyze automatically, we rely on a pen-based interface to quickly draw an approximate normal map over a photo. The photo and the approximate normal map are then given as input to a novel algorithm that refines the map and assigns reflectance to every pixel. 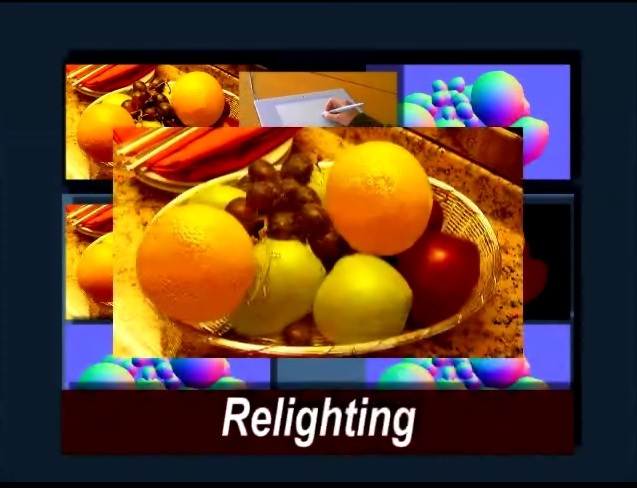 We present relighting results for a variety of scenes, and use our technique to match the illumination of multiple photographs. 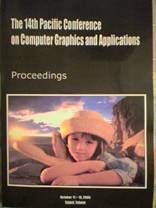 Our result was used as the cover image of the proceedings of Pacific Graphics 2006. 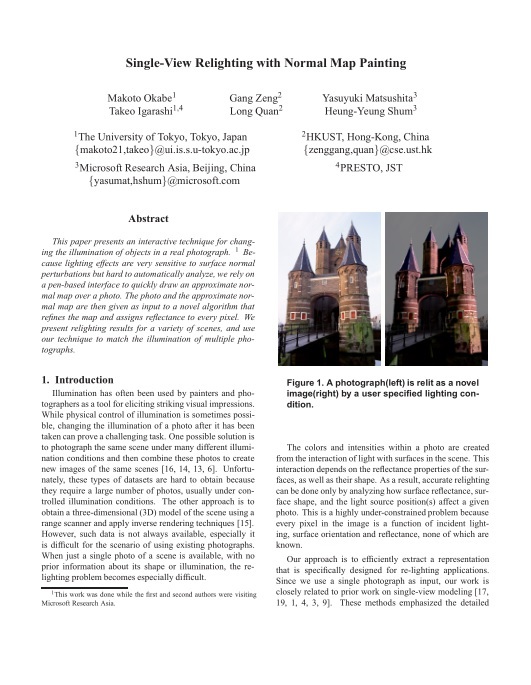 Makoto Okabe, Gang Zeng, Yasuyuki Matsushita, Takeo Igarashi, Long Quan, Heung-Yeung Shum, "Single-View Relighting with Normal Map Painting", in Proc. of Pacific Graphics 2006, pp. 27-34.